Here users can get Godaddy India Promo Code in order to save their money. Use can use the promo code available here. Just copy the by clicking the Get Code button. Apply the coupon code at the time of checkout. Avail web hosting at just Rs.99/month only. Lightning fast hosting for a shockingly low price! Get 50% off GoDaddy Hosting plans now. Get Flat 30% off on all hosting plan at Godaddy India. GoDaddy Website Builder – 14 Day Free Trial! Get GoDaddy Website Builder – 14 Day Free Trial! Then Plans starts As Low As Rs.169/mo After Free Trial. Unlimited .COM’s for just Rs 689.00 each! Get unlimited .com domain names for just Rs.689 each. Get .com domain name for just Rs.399 only. Get .in domain name for just Rs.199. Godaddy SSL Certificates just Rs 699.00* for the 1st year! Get Godaddy SSL certificate for just Rs.699/year. Applicable for the first year only. Let me tell you that Godaddy provides various hosting services like VPS Hosting, WordPress Hosting, Email Hosting, Reseller Hosting and many more. Godaddy offers various hosting plans like Starter, Economy, Deluxe and Ultimate Hosting. But most used plan among users is economy hosting plan. 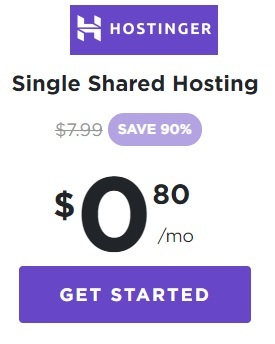 Economy hosting includes 100 GB storage, Free Business Email for 1st year and Free domain name included with annual plan. Al l this you can get at just Rs.199/month. Use economy hosting coupon provided above to get discount. VPS hosting is best suited for those who wants to host multiple sites or having heavy application or having eCommerce website. This types of hosting is to select when you are getting enough traffic. Basic VPS hosting plan starts from just Rs.1399/mo. It includes 1 CPU Core, 2 GB RAM and 40 GB Storage. Use our VPS Hosting Coupon provided here to save your valuable money. Godaddy WordPress Hosting comes with four different plans naming like Basic, Deluxe , Ultimate and Pro 5+. You may wonder that WordPress hosting starts with just Rs.99/month. Basic plan includes 1 website, 10 GB SSD storage, 25000 monthly visitors, SFTP access and Free domain with annual plan. Most suitable for beginners. This plan is most popular and cheapest also. Plan includes 1 Website, 30 GB Storage and unmetered bandwidth at just Rs.99/month. Use rs 99 hosting to get your website live now. Email marketing is one of the best strategy to boost your business and selling. Apply our email coupon code provided here to get benefits. Business email starts from just Rs.39/mo per user.